We’ll come to the women in a minute but Olympic men’s football struggles to capture the imagination on these shores for several reasons. It is not perceived as the pinnacle or even remotely close in status to the World Cup; Team GB are not normally able to enter a team (this is perhaps the key turn-off here in the UK); the restriction for all bar three players to be under-23 means few nations are fielding their strongest possible side; it takes place just after the European Championship so many star names are absent even if they are eligible for it; and it regularly clashes with the start of the domestic season so is viewed as a bit of an inconvenience by clubs. And all this adds up to a perception in the UK that football isn’t really an essential part of the Olympics. It is perhaps the opposite situation to normal, with football considered a bit of a minority sport during the Games and tucked away on the red button channels. Some might argue that if rugby sevens is a part of the Olympics, then alternative versions of football such as six-a-side might be a better option than the current offering. But having been contested at every Olympics bar two, the heritage of football at the Games isn’t in question. “Just because the Olympics is not part of our footballing DNA in Great Britain does not mean it is not very important,” said BBC pundit Garth Crooks in 2012. Nor should we forget that Great Britain won gold in both 1908 and 1912 before the World Cup had been conceived, while Matt Busby managed the amateurs to fourth place in the 1948 Olympics on home soil – an achievement worth hailing as most squad members were playing lower league or non-league football, whereas some opponents could field their full international side if professional football was not permitted in their homeland. 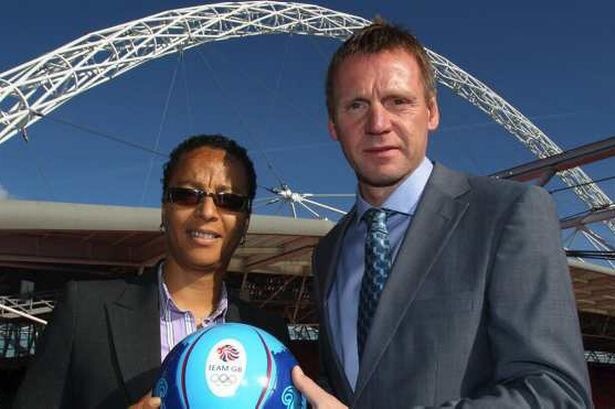 Hope Powell (women’s) and Stuart Pearce (men’s) were in charge of Team GB’s footballers at London 2012. In 2012 Team GB would be entering teams in the football competitions, the first time for 40 years when the amateur era was still in place (professionals were first allowed to play in 1984). From the moment London was selected as host in 2005 the team’s revival became a source of debate, the football associations of Northern Ireland, Scotland and Wales concerned at the potential ramifications if their players were part of the Team GB football team. It seemed a sport editor’s go-to subject for a slow news day, with someone invariably speaking out about it. After a lot of talk, eventually the men’s team would consist predominantly of players from England with five from Wales. Northern Ireland and Scotland were not represented. With England having gone to Euro 2012 a few weeks earlier, manager Stuart Pearce – who was also the boss of England under-21s – was left to pick a fairly inexperienced squad containing some players such as Scott Sinclair and Marvin Sordell who have never been capped at full level. Perhaps the main intrigue concerned the selection of the three over-23 players. Craig Bellamy and Ryan Giggs of Wales would finally get the chance to appear in an international tournament as they neared retirement, while discarded England defender Micah Richards was the other ‘veteran’ at the ripe old age of 24. Despite the perception that football in the Olympics carries limited appeal, some of the attendances suggested otherwise. On the first Sunday of both Euro ’96 and London 2012, this blogger was at Old Trafford to watch matches. In 1996 there was a crowd of 37,300 at the stadium to see Germany beat the Czech Republic, the two eventual finalists; in 2012 more than 66,000 watched Brazil’s men beat Belarus in an Olympic group game at the same stadium (with Egypt against New Zealand in the first part of a double header also well-attended). Even accounting for Old Trafford’s capacity having grown since 1996 and ticket pricing issues during Euro’96, that was still a major increase in attendance – particularly considering the Olympics is generally viewed as a less prestigious football tournament than the Euros. The rare chance to see two matches back-to-back and the eternal pulling power of Brazil helped, but perhaps more significantly football was the one event that people in the north-west could easily access – and the same applied elsewhere in the country too. So many people simply wanted to say they had been a part of the Games, without necessarily having the time or resources to head to London. Three of the four men’s quarter-final matches attracted official attendances of more than 70,000. Olympic football might be easy to dismiss, but the public turned out in big numbers on plenty of occasions. The other main beneficiary of football in the Olympics was the women’s game. Without the age restrictions of the men’s tournament, it effectively acts as a second World Cup and a chance for women’s football to enjoy a place in the spotlight. Team GB had never participated in the Olympics before. Team GB’s women come unstuck in the quarter-finals against Canada. This was virtually the England side under a different name, manager Hope Powell’s squad being entirely English apart from two Scottish players. She resisted picking any Welsh players despite the team’s first two matches being at the Millennium Stadium in Cardiff. With England having reached the quarter-finals of the World Cup in 2007 and 2011 and the final of Euro 2009, the team would fancy their chances of earning a medal on home soil. The team had the honour of kicking off the Olympics with a win over New Zealand, then defeating Cameroon before more than 70,000 saw them beat Brazil at Wembley as they advanced with a 100% record from the group stage. But until last year the quarter-finals were England’s nemesis round at the World Cup and it would spread to Team GB at the Olympics, as they lost 2-0 to Canada at Coventry. “We wanted to be in it for the long run,” said Powell. “We have raised awareness but we would have liked to take it further.” Canada then lost to USA, who would beat Japan in the final in front of more than 80,000 at Wembley. Think the night of Super Saturday in 2012 and the first names that come to mind for most people are Jessica Ennis, Mo Farah and Greg Rutherford. 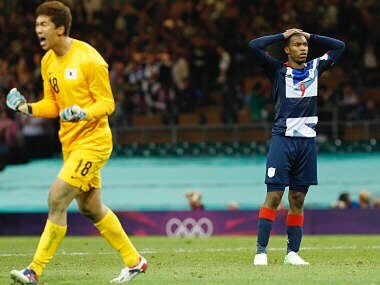 Not too many will say Daniel Sturridge, who as the nation was rejoicing over triumphs in athletics was missing the decisive penalty as Team GB’s men went out to South Korea at the Millennium Stadium. It was the same old story for anyone who considered the team as an extension of the England side, with Team GB crashing out on spot-kicks in the last eight. For Pearce it was yet more international heartache from penalties, having played in defeats to the Germans in 1990 and 1996 and as a manager his England under-21 side had lost an epic shoot-out to the Netherlands at the 2007 European Championship. Team GB had topped a group containing Senegal, United Arab Emirates and Uruguay (featuring Luis Suarez) before their shoot-out disappointment in Cardiff. The defeat denied them a glamour semi-final with Brazil at Old Trafford, a match which might just have triggered national interest in the football competition. Brazil comfortably beat South Korea but lost the final to Mexico, meaning the Brazilians have still yet to win the football tournament as they look to end the hoodoo on home soil this time around. For most of the English members of the party it was not the passage to international success they might have hoped for, although Sturridge, Ryan Bertrand and Danny Rose would all be part of England’s Euro 2016 squad. But for the young Welsh contingent the tournament experience arguably proved more vital. Joe Allen, Aaron Ramsey and Neil Taylor would all go on to help Wales reach the semi-finals of Euro 2016. Allen had inadvertently been listed as ‘English’ in the first programme for the tournament, although the fuss over that was nothing compared to the blunder committed when the South Korean flag appeared rather than North Korea’s on the scoreboard before a women’s match at Hampden Park! He may be wearing Team GB’s colours but Daniel Sturridge gets to experience what plenty of his England predecessors have been through over the years. For both manages of Team GB, the tournament should have provided welcome experience for them to build on in their roles with England. But for Pearce and Powell things would soon get far worse. Dreadful European Championship tournaments in 2013 for England under-21s and the women would see both leave their respective positions. Powell had been touted as a potential manager in the men’s game a relatively short time earlier, but she would be left watching on from afar as Mark Sampson led England’s women to the World Cup semi-finals for the first time in 2015. 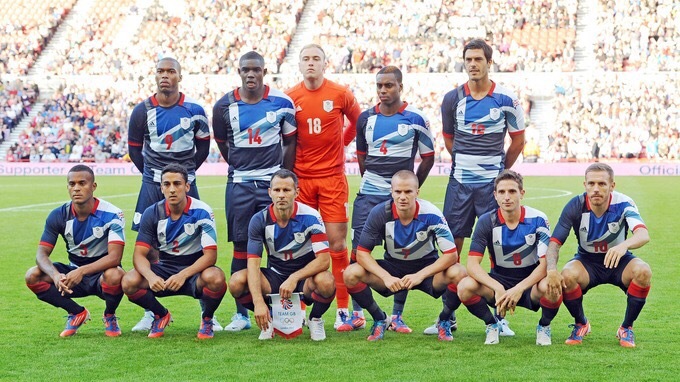 When people get misty-eyed about London 2012, it is unlikely to be about football – particularly the men’s team. The Games brought countless moments to savour and, ultimately, football struggled to register in the same way that so many moments of British glory did. 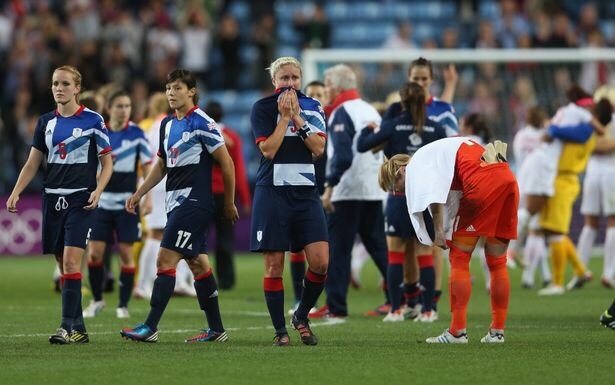 But as we’ve seen it did allow a wider audience to attend Olympic events and helped the profile of women’s football. For that it served a positive purpose and there has been criticism over the women being absent in 2016. If Team GB are to be represented in football at the Olympics again any time soon, we suspect it won’t be the men doing it.